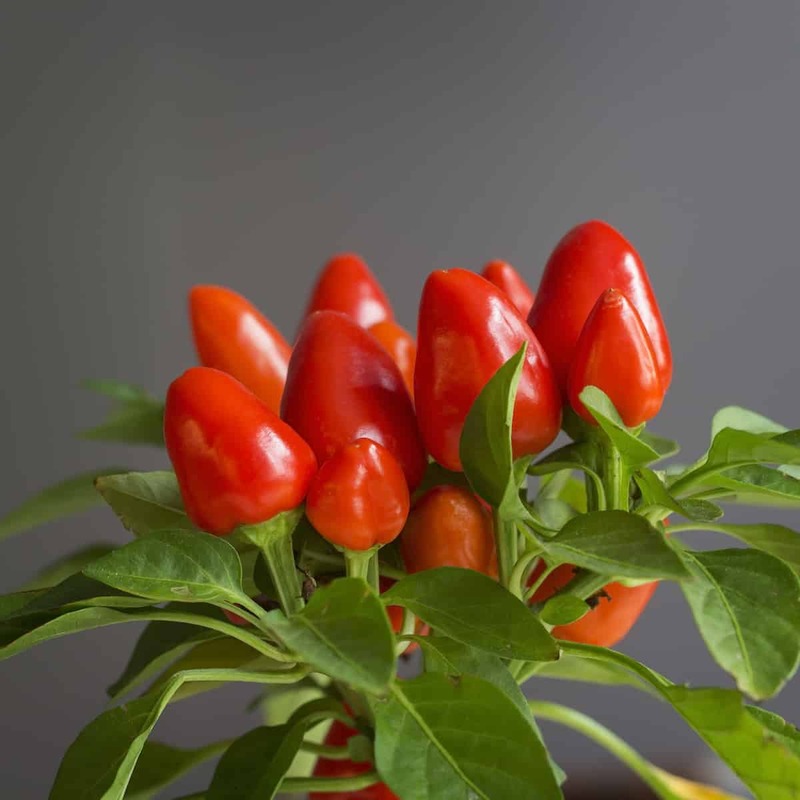 If you are a fan of chili peppers and lack the sunny outdoor space to grow your own, you should know that pepper plants can be grown indoors. In addition to providing you with their delicious fruit, pepper plants are attractive enough to serve as decorative plants as well. Indoor pepper plants may actually be easier for novice gardeners to maintain when compared to outdoor ones. You will have greater control over a number of factors that influence your plant’s health including heat, light and moisture. You will need to balance these effectively for a successful harvest. How is growing chili peppers indoors different from growing them outdoors? It is unlikely that the most well-lit house will be able to compete with the outdoors in terms of the amount of light offered. As a result, the pepper plants that you grow will probably not get as large as outdoor ones. The peppers themselves are also likely to be smaller. The key here is to choose a hot pepper variety that is on the smaller side wherever you grow it. The types that grow well in containers will give you your best shot at success. 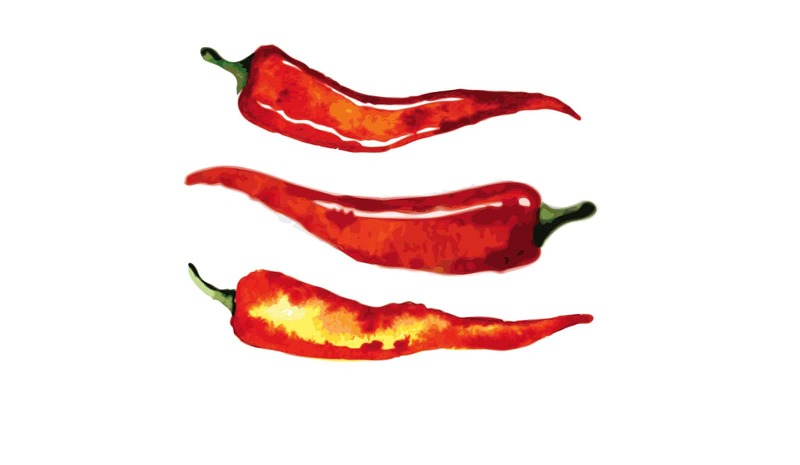 These include chile de arbol, cayenne peppers, and bird peppers. The brightly colored peppers stand out from the leaves and can make these pepper plants an appealing addition to your décor. What are the most important factors to consider for optimal growth? Temperature: Chilies do well in environments with high daytime temperatures and nighttime temperatures that are only slightly cooler. Ideally, you want to provide them with about 80 degrees Fahrenheit during the day and about 70 at night. Try to stay within 20 degrees of these temperatures. You can raise the temperature for your plants by placing an artificial light about 3 inches above them. If your home is particularly cool, consider putting your pepper plants on a heat mat for additional warmth. Container Size: For a smaller pepper plant, a pot that measures 12 inches in diameter should be adequate. Larger ones may need an 18-inch pot. These pots should have good drainage, which means that you may need to place a saucer or tray under them to catch the runoff. Soil: If you have a yard, you can simply go outside and shovel some dirt into your pots; however, this increases the risk of exposing your pepper plants to pests and bacteria. Your best bet is to use a potting mix. A mixture of sphagnum moss and cow manure can also deliver good results (but beware the smell for indoor use). Look for a 40/60 mix with 40 percent sphagnum and 60 percent cow manure. Water: You want to keep the soil damp but not wet. Too much water can reduce the heat of your peppers and increase the risk of fungi. Can indoor hot peppers get as hot as they would outdoors? As long as you avoid overwatering, there is no reason that your peppers should not be just as hot as they would be in an outdoor environment. Are there any concerns with growing indoor chilies around pets or children? The capsaicin in chili peppers will not permanently harm your pets (or children), though they can cause pain and discomfort if eaten in the short term depending on the amount of capsaicin in the chili pepper. Your options are to plant milder varieties that are more family-friendly or to place the plants well out of reach. Note: many ornamental peppers are surprisingly spicy. That’s because they are bred to accentuate their beauty, without much concern to overall flavor and heat. Be aware of this if considering growing an ornamental pepper indoors or in a container with kids or pets about. Do indoor peppers follow the same growing cycles as their outdoor counterparts? Because indoor chili pepper plants are not subjected to the rigors of the elements, it is possible to keep them fruiting through the winter. You just have to ensure that the temperatures are kept within the optimal range and that they have sufficient water and light. I think my chilli plant has fungi growing on the roots. How do I get rid of this? Will the chillis still be okay to eat? Hi there – sounds like root rot, usually caused by too much watering. 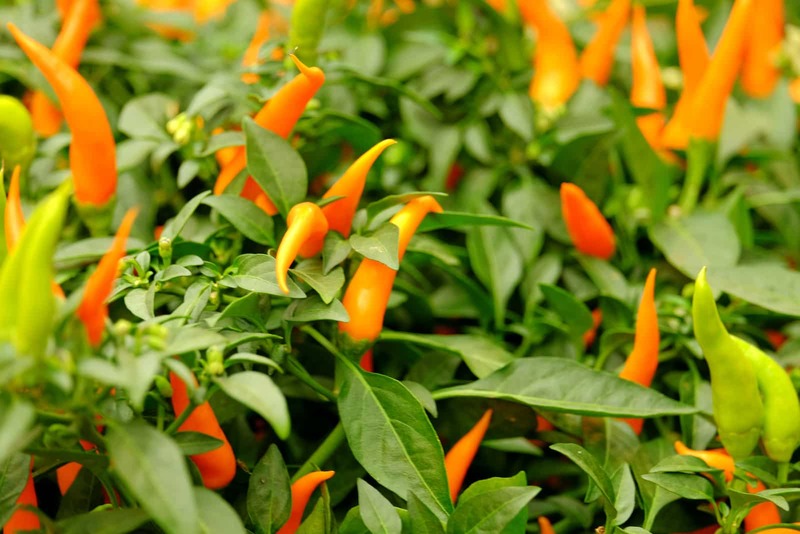 You need to provide better drainage to possibly save the plant, otherwise the plant itself may die – or if it lives, the peppers may be stunted.